Blueberries are sweet, nutritious and wildly popular. Often labeled a superfood, they are low in calories and incredibly good for you. They’re so tasty and convenient that many people consider them their favorite fruit. Here are 10 proven health benefits of blueberries. Blueberries are among the most nutrient-dense berries. A 1-cup (148-gram) serving of blueberries contains: Fiber (4 grams), Vitamin C (24% of the RDI), Vitamin K (36% of the RDI), Manganese (25% of the RDI) and Small amounts of various other nutrients. They are also about 85% water, and an entire cup contains only 84 calories, with 15 grams of carbohydrates. Calorie for calorie, this makes them an excellent source of several important nutrients. Antioxidants protect your body from free radicals, which are unstable molecules that can damage your cells and contribute to aging and diseases, such as cancer. Blueberries are believed to have one of the highest antioxidant levels of all common fruits and vegetables. Blueberries have been shown to directly increase antioxidant levels in your body. The main antioxidant compounds in blueberries belong to a family of polyphenols antioxidants called flavonoids. One group of flavonoids in particular — anthocyanins — is thought to be responsible for much of these berries’ beneficial health effects. Oxidative DNA damage is an unavoidable part of everyday life. It is said to occur tens of thousands of times per day in every cell in your body. 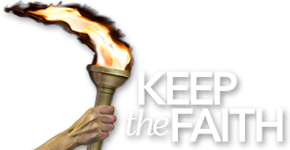 DNA damage is part of the reason we grow older. It also plays an important role in the development of diseases like cancer. Because blueberries are high in antioxidants, they can neutralize some of the free radicals that damage your DNA. In one study, 168 people drank 34 ounces (1 liter) of a mixed blueberry and apple juice daily. After four weeks, oxidative DNA damage due to free radicals was reduced by 20%. These findings agree with smaller studies that use either fresh or powdered blueberries. Oxidative damage is not limited to your cells and DNA. It is also problematic when your “bad” LDL cholesterol is oxidized. In fact, oxidation of “bad” LDL cholesterol is a crucial step in the heart disease process. The antioxidants in blueberries are strongly linked to reduced levels of oxidized LDL. This makes blueberries very good for your heart. A daily 2-ounce (50-gram) serving of blueberries lowered LDL oxidation by 27% over eight weeks in obese people. Another study determined that eating 2.5 ounces (75 grams) of blueberries with a main meal significantly reduced the oxidation of “bad” LDL cholesterol. Blueberries appear to have significant benefits for people with high blood pressure, which is a major risk factor for heart disease. In an eight-week study, obese people who had had a high risk of heart disease noted a 4–6% reduction in blood pressure after consuming 2 ounces (50 grams) of blueberries per day. Other studies have observed similar effects — especially for postmenopausal women. While eating blueberries may lower blood pressure and oxidized LDL cholesterol, it’s important to keep in mind that these are risk factors — not actual diseases. It would be much more informative to know whether blueberries help prevent hard endpoints like heart attacks, which are the world’s leading cause of death. 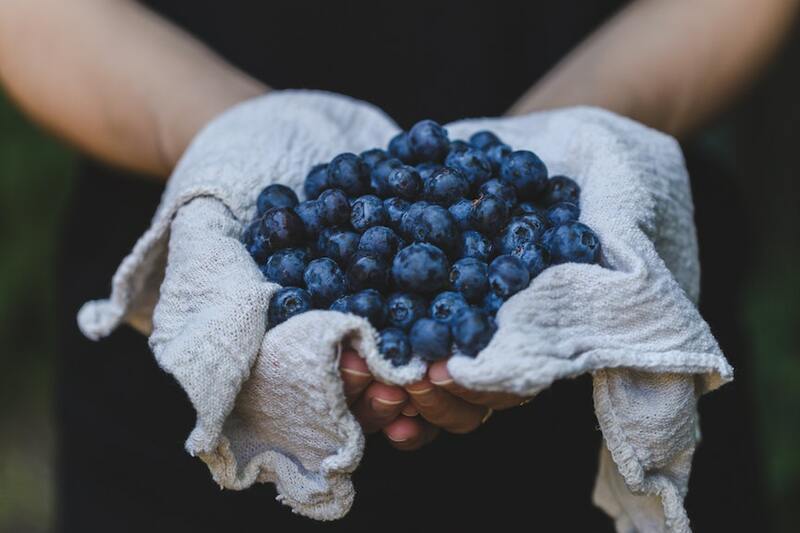 A study in 93,600 nurses found that those with the highest intake of anthocyanins — the main antioxidants in blueberries — were at a 32% lower risk of heart attacks compared to those with the lowest intake. Because this was an observational study, it cannot prove that the anthocyanins alone caused the reduction in risk. Oxidative stress can accelerate your brain’s aging process, negatively affecting brain function. According to animal studies, the antioxidants in blueberries may affect areas of your brain that are essential for intelligence. They appear to benefit aging neurons, leading to improvements in cell signaling. Human studies have also yielded promising results. In one of these studies, nine older adults with mild cognitive impairment consumed blueberry juice every day. After 12 weeks, they experienced improvements in several markers of brain function. A six-year study in over 16,000 older individuals found that blueberries and strawberries were linked to delays in mental aging by up to 2.5 years. Blueberries provide moderate amounts of sugar compared to other fruits. One cup (148 grams) holds 15 grams of sugar, which is equivalent to a small apple or large orange. However, the bioactive compounds in blueberries appear to outweigh any negative impact of the sugar when it comes to blood sugar control. Research suggests that anthocyanins in blueberries have beneficial effects on insulin sensitivity and glucose metabolism. These anti-diabetes effects occur with both blueberry juice and extract. In a study in 32 obese people with insulin resistance, two blueberry smoothies daily caused major improvements in insulin sensitivity. Improved insulin sensitivity should lower the risk of metabolic syndrome and type 2 diabetes, which are currently two of the world’s biggest health problems. Urinary tract infecrtions (UTIs) are a common problem for women. It is widely known that cranberry juice can help prevent these types of infections. Because blueberries are closely related to cranberries, they boast many of the same active substances as cranberry juice. These substances are called anti-adhesives and help prevent bacteria like E. coli from binding to the wall of your bladder. Blueberries have rarely been studied for their impact on UTIs, but they likely have similar effects as cranberries. Strenuous exercise can lead to muscle soreness and fatigue. This is driven partly by local inflammation and oxidative stress in your muscle tissue. Blueberry supplements may lessen the damage that occurs at a molecular level, minimizing soreness and reduced muscle performance. In a small study in 10 female athletes, blueberries accelerated muscle recovery after strenuous leg exercises. Blueberries are incredibly healthy and nutritious. They boost your heart health, brain function and numerous other aspects of your body. What’s more, they’re sweet, colorful and easily enjoyed either fresh of frozen. What a great article in regards the this super food. I live near a 10 acres blueberry farm. Where during the season go and picked. I freeze about 100 pounds a year and have them every day. The cost is $2.50 a pound! PTL No wonder I live in this part of the world and thank the good Lord is was my wife who wanted to live here! 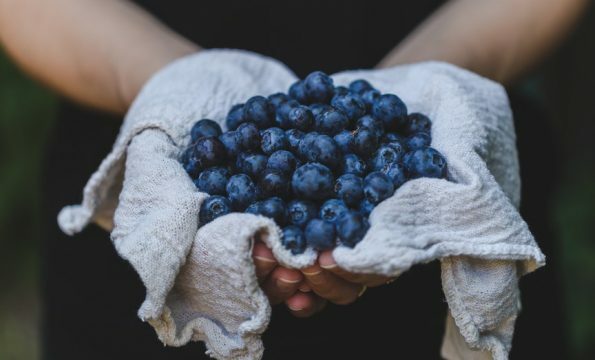 Thank you very much for this article, I definitely agree about blueberries helping with memory and brain cells specially if you have suffered from seizures.